Questions about Elan Lighting 83279? The Kotton Chandelier from Elan takes classic mid-century sputnik lights and gives the iconic look a contemporary twist. 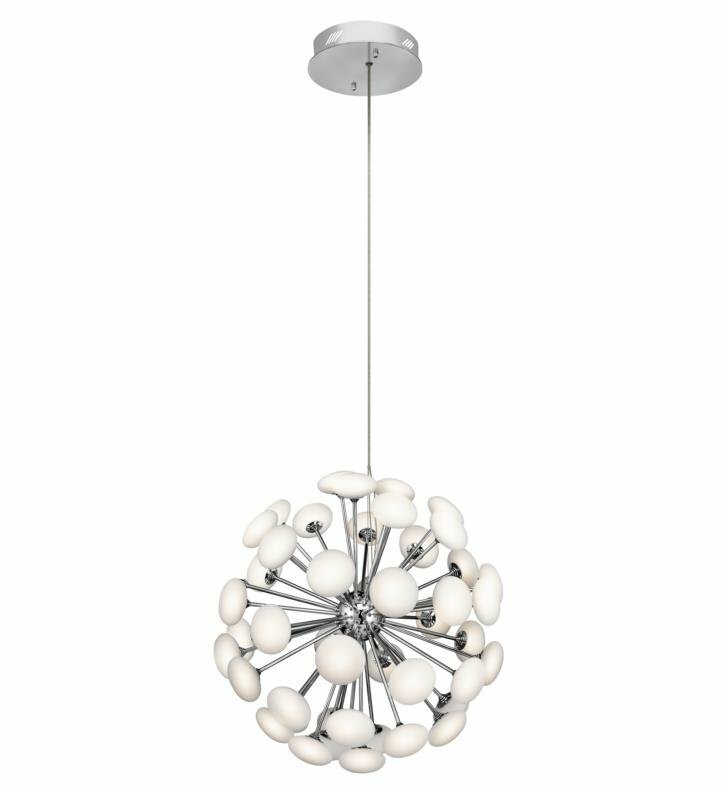 Buds of Frosted White glass sprout forth from the fixture's spherical center and integrated dimmable warm white LED light sources create a comfortable glow. The Satin Nickel finish is a perfect complement. You can adjust the hanging height of this fixture. W 23 1/2" x H 23 1/2"